Ariane Lüthi and Maja Włoszczowska. 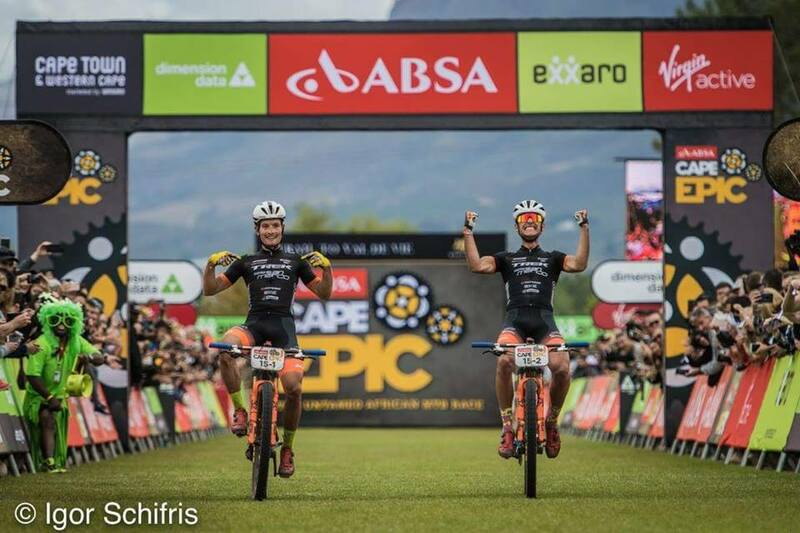 Perfect start of the Absa Cape Epic for the Kross-Spur Team. Ariane Lüthi and Maja Włoszczowska finished the prologue in second place, while Ondřej Cink and Sergio Mantecón in third one. Włoszczowska and Lüthi did not hide that they would like to make something big in the South Africa. In the prologue they finished right behind Investec-songo-Specialized duo: Annika Langvad – Anna van der Breggen with time of 54:19. - I’m very happy about our performance but we must remember that there are a lot of very strong riders here. I’m very happy about our cooperation with Ariane also. We managed to regulate the pace very efficiently and our communication also worked very well– said Maja Włoszczowska. Sergio Mantecón and Ondřej Cink proved that they cannot be underestimated. They finished the prologue with the 3rd time – 44:34, right behind Nino Schurter and Lars Forster (Scott-SRAM MTB Racing) and Manuel Fumicini and Henrique Avancini (Cannondale Factory Racing). – The first day of the Absa Cape Epic is very successful for us – said Kross-Spur Manager, Kornel Osicki. It is very important that the team riders have no mechanical problems – he added.